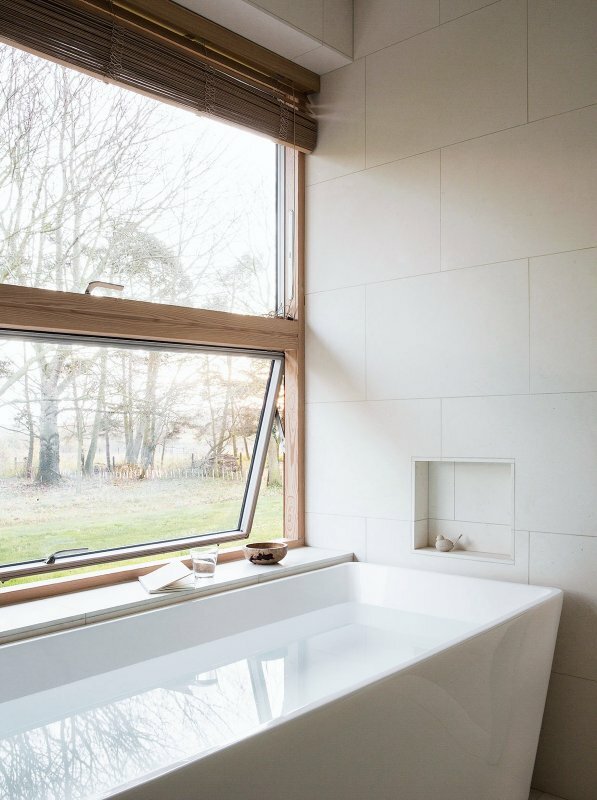 Bathroom with wood framed windows. In the project Casa Abierta in Punta Rubia designed by Rosario Talevi. Photographed by Javier Agustín Rojas.